Bankruptcy Questions & Answers in Simple Terms. Some of your bankruptcy questions may be answered here. But we encourage you to call us and schedule a free consultation with me, your Los Angeles Bankruptcy Attorney. The facts of each case are different. You can get only one discharge every eight years, it is in your best interest to make sure all debts that can be discharged, will be. Yes! you can own property before, during, and after bankruptcy. Many people believe they cannot own anything for a period of time after filing for bankruptcy. This is not true. You can keep your exempt property and anything you obtain after the bankruptcy is filed. However, if you receive an inheritance, a property settlement, or life insurance benefits within 180 days after filing for bankruptcy, that money or property may have to be paid to your creditors if the property or money is not exempt. · Eliminate the legal obligation to pay most or all of your debts. This is called a “discharge” of debts. It is designed to give you a fresh financial start. · Prevent repossession of a car or other property, or force the creditor to return property even after it has been repossessed. · Stop wage garnishment, debt collection harassment, and similar creditor actions to collect a debt. · Restore or prevent termination of utility service. · Allow you to challenge the claims of creditors who have committed fraud or who are otherwise trying to collect more than you really owe. Chapter 11, known as “reorganization”, is used by businesses and a few individual debtors whose debts are very large. It is best to discuss the specific facts of your case with a local attorney in your area. 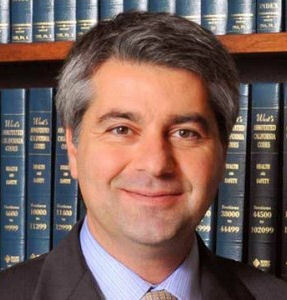 We are a Los Angeles Bankruptcy Attorney and we serve the residents of Los Angeles county. The filing fee is $306.00 for chapter 7 and $284.00 for chapter 13, whether for one person or a married couple. The court may allow you to pay this filing fee in installments if you cannot pay all at once. If you hire an attorney you will also have to pay the attorney fees you agree to. Utility services Public utilities, such as the electric company, cannot refuse or cut off service because you have filed for bankruptcy. However, the utility can require a deposit for future service and you do have to pay bills which arise after bankruptcy is filed. Discrimination An employer or government agency cannot discriminate against you because you have filed for bankruptcy. Driver’s license If you lost your license solely because you couldn’t pay court ordered damages caused in an accident, bankruptcy will allow you to get your license back. Co-signers If someone has co-signed a loan with you and you file for bankruptcy, the co-signer may have to pay your debt. What is Chapter 13 Reorganization? In a chapter 13 case you file a “plan” showing how you will pay off some of your past due and current debts over three to five years. The most important thing about a chapter 13 case is that it will allow you to keep valuable property specially your home and car which might otherwise be lost, if you can make the payments which the bankruptcy law requires to be made to your creditors. In most cases, these payments will be at least as much as your regular monthly payments on your mortgage or car loan, with some extra payment to get caught up on the amount you have fallen behind. (3) have valuable property which is not exempt, but you can afford to pay creditors from your income over time. 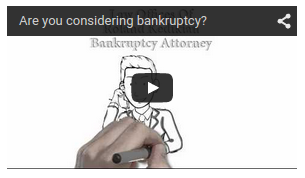 What is chapter 7 straight bankruptcy? If you want to keep property like a home or a car and are behind on the payments on a mortgage or car loan, a chapter 7 case probably will not be the right choice for you. That is because chapter 7 bankruptcy does not eliminate the right of mortgage holders or car loan creditors to take your property to cover your debt. · Your right to receive certain benefits such as social security, unemployment compensation,. . . . . . In determining whether property is exempt, you must keep a few things in mind. The value of property is not the amount you paid for it, but what it is worth now. Especially for furniture and cars, this may be a lot less than what you paid or what it would cost to buy a replacement. You also only need to look at your equity in property. This means that you count your exemptions against the full value minus any money that you owe on mortgages or liens. For example, if you own a $50,000 house with a $40,000 mortgage, you count your exemptions against the $10,000 which is your equity if you sell it. In most cases you will not lose your home or car during your bankruptcy case as long as your equity in the property is fully exempt. Even if your property is not fully exempt, you will be able to keep it, if you pay its non-exempt value to creditors in chapter 13 . There are several ways that you can keep collateral or mortgaged property after you file bankruptcy. You can agree to keep making your payments on the debt until it is paid in full. Or you can pay the creditor the amount that the property you want to keep is worth. In some cases involving fraud or other improper conduct by the creditor, you may be able to challenge the debt. If you put up your household goods as collateral for a loan (other than a loan to purchase the goods), you can usually keep your property without making any more payments on that debt. The fact that you’ve filed a bankruptcy will appear on your credit record for ten years. But since bankruptcy wipes out your old debts, you are likely to be in a better position to pay your current bills, and you may be able to get new credit. (6) mortgages and other liens which are not paid in the bankruptcy case (but bankruptcy will wipe out your obligation to pay any additional money if the property is sold by the creditor).